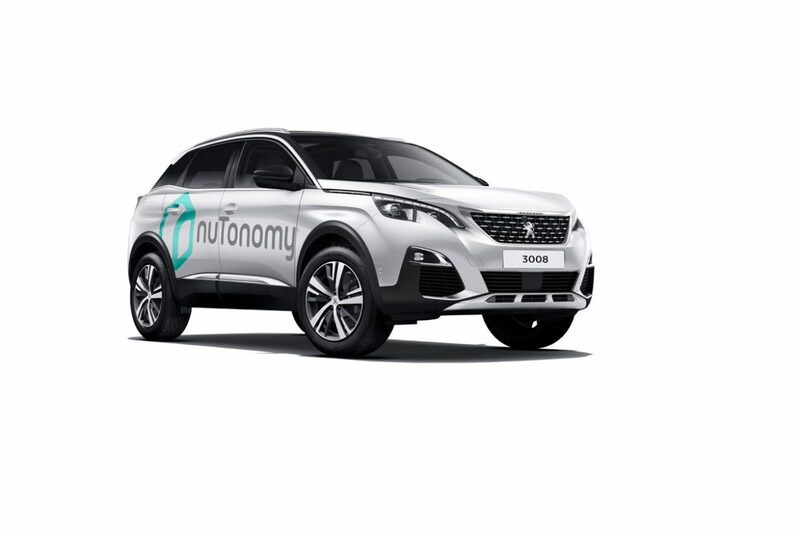 Peugeot SA, Opel, Vauxhall, and Citroën brands are owned by PSA Groupe company that has signed a contract with NuTonomy startup, a software provider, to partner in the launch of road tests in Singapore. The basis for tests will be PSA’s SUVs Peugeot 3008, starting with two units in the fleet and with the upcoming scale-up to ‘thousands of on-demand driverless vehicles’, as PSA’s Anne Laliron says, the head of Business Lab division of PSA Groupe. NuTonomy is a spin-off from MIT company that has CEO Karl lagnemma, a person who is in the driverless technology market for years and has an experience that PSA requires. The companies made the mutual statement saying that this cooperation would be a giant step towards the representation of safer and more comfortable driverless technology by 2020. This year will become the year of scaling its fleet of autonomous cars to thousands of units that will be primarily engaged in on-demand taxis for urban areas and environments. NuTonomy is engaged in testing its driverless fleet in Singapore already a year before they signed this agreement. And they have plans to broaden their area to the entire globe, at least, taking next more global steps in Paris and Boston, where NuTonomy has headquarters. Their country of origin is the USA and with this deal, they actually become present worldwide, as they collaborate with the Europe’s soon second biggest company in car manufacturing after Volkswagen and they perform road tests in Asia, thus uniting three continents with their business activity. NuTonomy never had plans to construct own cars or to produce their hardware and they position themselves only as software developers. PSA gave them for a start two vehicles of Peugeot 3008 model to install the hardware and software to make a car driverless and the teams are working together to elaborate the seamless transition of a regular SUV to autonomous that must be completed by the end of summer of 2017. The tests will actively begin already in September 2017. Peugeot 3008 model has been chosen as it has been recognized as the best car in Europe in 2017. The teams are also in the middle of the working process to decide on the sharing of the future profits and the data that will be collected by their cars. The collaboration has been acknowledged as non-exclusive. It means that both companies are free to work with other companies. It has become known that NuTonomy also collaborates with Asian company Grab in Singapore that provides the ride-sharing services to its customers. NuTonomy also had previously worked using Mitsubishi i-MiEVs and Renault Zoes vehicles in the driverless tests that were held in Boston. These cars were equipped with protruding hardware on the surface of a car (from the top and sides) but with the model Peugeot 3008, it may be different in outward appearance. Since January, NuTonomy is testing its autonomous cars in Boston, Massachusetts, in one of its industrial zones. But later, in April, they received an approval to broaden their testing area to two more zones that represent the more efficient landscape, from the point of view of teaching their software. The new zones include more pedestrians, cyclists, other drivers, crossroads, bridges, traffic lights, and multi-lane roads. The area has been recognized several times as the one having the worst drivers in America, so we suppose that NuTonomy will have much everything to learn from the real road situations to present something really viable to 2020 as they plan.